Medical Humanities Lab member and CHSTM research fellow Dr Stephanie Snow, working in collaboration with the Stroke Association and visual artist Elisa Artesero, has been curating a pop-up exhibition at Manchester Museum to commemorate World Stroke Day on 29 October 2015. The exhibition featured creative work produced by a group of stroke survivors, based on their experiences of adapting to life after stroke and inspired by Manchester Museum’s extensive mask collection. The exhibition, titled Stroke: Stories of the self through art and science, is running as part of the Manchester Science Festival. 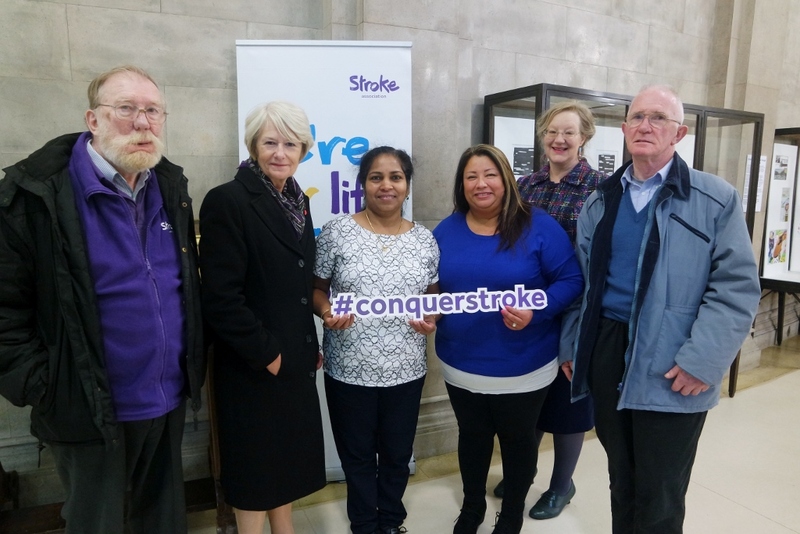 It is the first output of a larger project that brings together stroke survivors, patient groups, artists, clinicians, scientists, researchers and students from across the University and beyond in order to explore the life-changing aspects of stroke. Stephanie’s collaboration with the Stroke Association and stroke survivors is ongoing and will result in a major exhibition of creative work and engagement events at the 2016 Manchester European City of Science festival.